The River Run & Brews Cruise package is designed to show guests the very best of what Fort Collins has to offer: rafting and craft beer! This package experience allows guests a comfortable, entertaining and informative way to participate in two activities that have made Fort Collins famous! 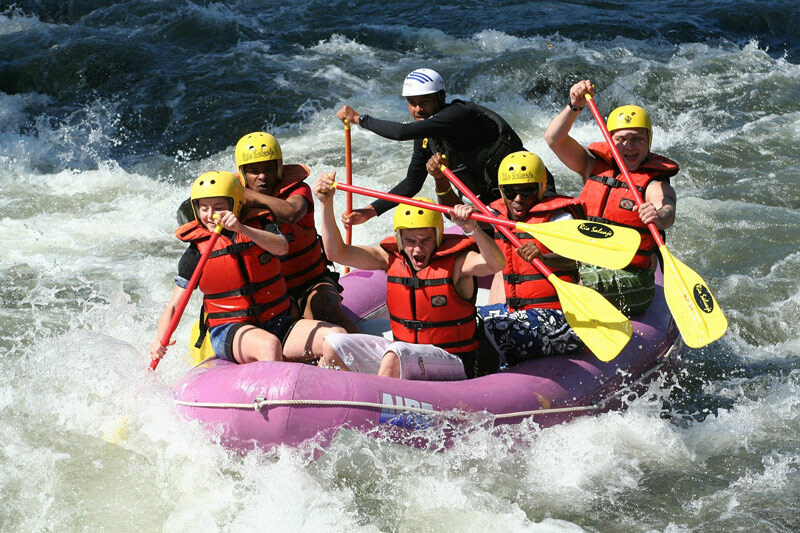 The package includes a half-day, AM Plunge, whitewater rafting trip with Mountain Whitewater ; all of your rafting equipment including wetsuit, gloves & booties; a Mountain Whitewater t-shirt and a three hour Craft Brews Cruise with Magic Bus Tours. The bus tour includes entertainment by guide, limo transportation, one flight of beer for each guest, and brewery tours arranged by Magic Bus Tours. This three hour tour visits three of the following Fort Collins breweries in rotation; New Belgium, Equinox, Snowbank, Odell, Horse and Dragon, Funkwerks, Red Truck, and more! This package has a maximum number of 17 people and is subject to availability. Available Friday, Saturday and Sunday all summer long, no group size required. All ages are welcome, as this is a fun and educational tour, not a drunk bus. Guests must be 21 years or older to consume beer during the tour. Custom, private trips are available for groups of ten or more and are offered every day of the week depending on availability. Custom bus tour trips can be picked-up at Mountain Whitewater after your rafting experience and dropped off at MW after the brew tour. We strongly recommend that all guests have a good meal before the Brews Cruise. There will be time in between activities for you to have a quick bite. Water and pretzels will be available on the bus in between brewery stops. Offered Friday, Saturday, and Sunday all summer long. Meeting Times: 8am for Raft Trip at Mountain White Water,2pm for Brews Cruise tour departing from Equinox Brewery. Join Magic Bus Tours and St. Peter’s Fly Shop for a winning fly fishing and beer drinking combo package. 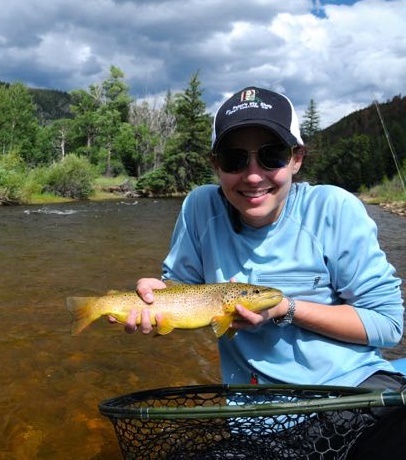 Experience all the Ft. Collins area has to offer with a professional guide on a half day walk wade fly fishing trip, followed by a fully guided three hour craft brewery tour. No better way to spend a day than fly fishing in the morning and spending the afternoon sippin’ on a cold brew. 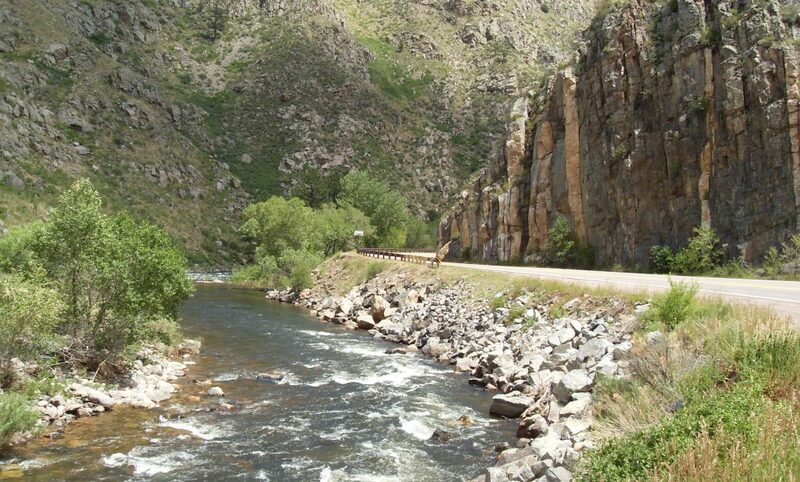 Price includes all gear, transportation, and lunch for the fly fishing portion of your trip. Fishing license and gratuity is not included in the price. You will meet your fishing guide at 8am at St. Peter’s Fly Shop and return to the same location after the trip. From there the afternoon beer tour starts at 2pm across the street at Equinox Brewery. The Craft Brews Cruise includes entertainment by guide, limo transportation, 1 fight of beer for each guest, and brewery tours arranged by Magic Bus Tours. This three hour tour visits three of the following Fort Collins breweries in rotation; New Belgium, Equinox, Maxline, Odell, Horse and Dragon, Funkwerks, Prost, and McClellans. Available Friday, Saturday and Sunday all season long, no group size required. All ages are welcome, as this is a fun and educational tour, not a drunk bus. 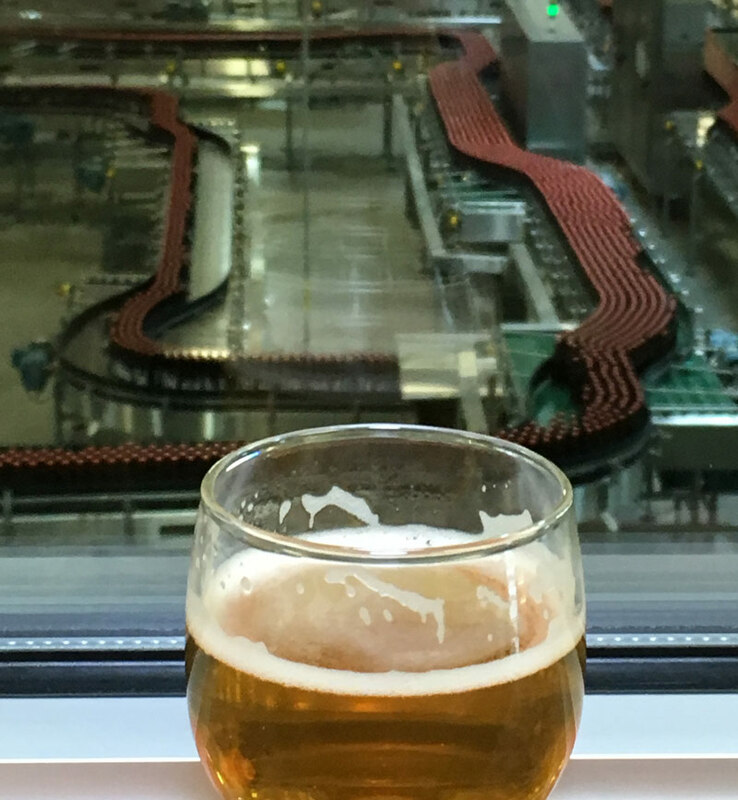 Guests must be 21 years or older to consume beer during the tour. Offered Friday, Saturday, and Sunday all season long. Meeting Times: 8am for Fly Fishing at St. Peter’s Fly Shop, 2pm Brews Cruise tour starting at Equinox Brewery.